Alberto Moreno is likely to put pen to paper on a Bosman transfer that will see him join Lazio at the end of this season, reports the Independent. Simon Hughes writes that talks have gone well and our underused Spanish left-back is set to sign a five-year contract with the Italians. Moreno has hardly had a sniff this season, with Andy Robertson practically ever-present at left-back in every game of note. In the summer, we need a replacement backup, but can totally understand Albie’s preference to depart. After all, he’s hardly played in two seasons and is 26-years-old now. Lazio have done well out of Liverpool in recent windows. They secured Luis Alberto, who’s become a member of the Spain squad; and Lucas Leiva was their Player of the Year in 2017/18! 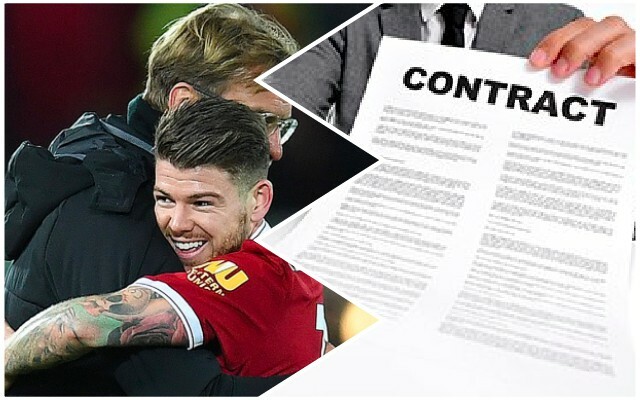 We think the environment could be perfect for Moreno actually – and predict that he’d potentially shine. When called upon over the past two years, he’s actually done very well. But Liverpool fans rightly regard him as a defensive liability, which he 100% is. In his place, we reckon Jurgen Klopp will sign an exciting youngster who can learn the ropes behind Robbo.